We offer top first class web development services. We don't just design website, we build business. We have seamless packages for digital marketing services. 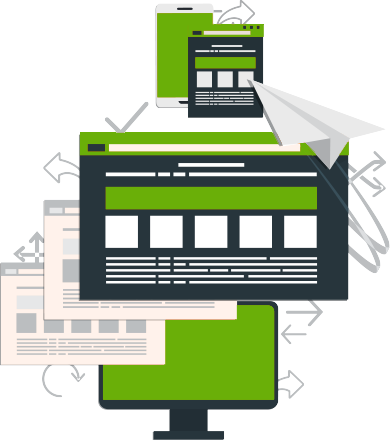 We build top notch web app, web services, APIs, Maintenance and Website redesigning. We use latest technologies and best standard for our clients projects. We build mobile apps ranging from Android, iOs, Cloud Services both native and hybrid. We use best technologies and best practices. We make your business visible on the Internet with our Seamless team. We offer SEO, SEM, Social Media Management and advisory. We don't joke with maintenance and we highly recommend suitable maintenance practices for our clients. We maintain IT infrastructures seamlessly. Become a baddas web developer and graphic designer. We have advance programming courses and corporate IT trainings. Copyright 2019 © Vertical Interactive Solutions. All Rights Reserved. One of our representative is online. Click the image to chat with us.